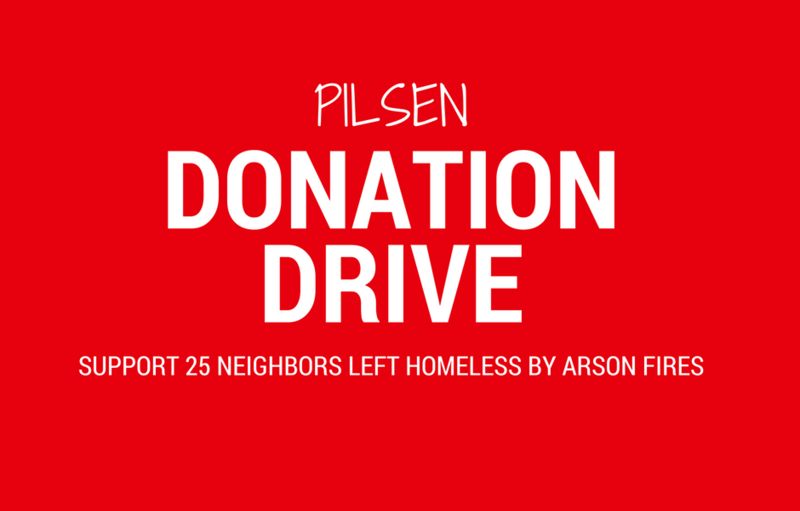 Several Pilsen community organizations have partnered with YMCA Rauner to hold a donation drive this weekend after seven arson fires left one person dead and 25 homeless. Pilsen United, Pilsen Neighborhood, Pilsen Alliance, the Chicago Socialist Party and YMCA Rauner are working with Whittier School to make sure all families receive the donations they need. Whittier is where the children affected by the fires attend school. Whittier School counselor Allison Manasse has also created a GoFundMe campaign to raise $60,000 for the families. The campaign has raised $4,860 so far. Please bring donations in a labeled box or bag.